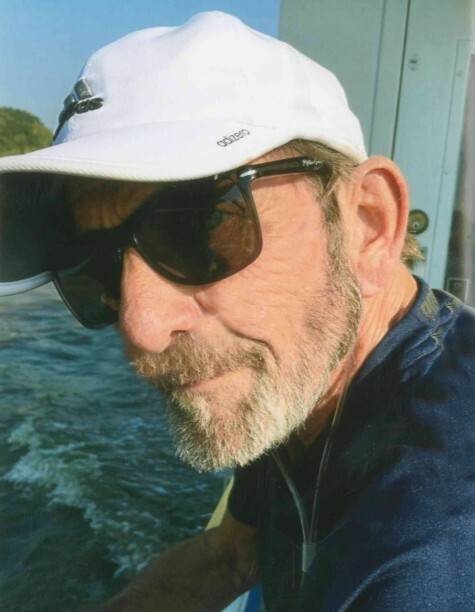 FIELDON - Kevin Charles Hughes, 66, died at 5:08 a.m., Tuesday, February 5, 2019 at his residence, after a period of declining health. He was born on September 10, 1952 in Tooele, Utah, to the late Willard and Constance "Connie" (LeFaivre) Hughes and grew up, along with his siblings, in Grafton and remained extremely proud of his Grafton roots throughout his life. He was drafted into the United States Army in 1970 where he served our country honorably. He married the love of his life, the former Rebecca Schmieder on July 16, 1977 at the St. Mary's Catholic Church in Fieldon and together, throughout their 41 years of marriage, they shared in the joys of raising their son and the many memories they were able to create as a family. Always a hard working man, Kevin began his career with Duncan Foundry in Alton and later went on to work for many years as a deckhand for Norman Brothers Barge Lines and retired from Lockhaven Country Club in Godfrey as a groundskeeper. Kevin was a true outdoorsman and enjoyed both mushroom and duck hunting. In his later years, he found enjoyment in the simpler things in life and followed virtually any sporting event and enjoyed watching a good cowboy movie. Perhaps his greatest joys were the regular drives that He and Becky took, nearly every day, through Pere Marquette State Park, taking in all that nature had to offer and sharing in one another's company. Surviving are his wife, Becky Hughes of Fieldon; a son and daughter in-law, Kevin Douglas and Na Hughes of Godfrey; four brothers and their spouses, James Hughes, Jeff Hughes, Jon and Donna Hughes, all of Grafton; Georges and Mary LeFaivre of Philo; two sisters and their spouses, Cindy and Art Harris of Fieldon and Donna and Chad Weisman of Huntingburg, IN; as well as a sister in-law, Margie Hughes of Kane. In addition to his parents, he was preceded in death by two brothers, Christopher and Evans "Ebb" Hughes and a sister in-law, Judith Snider. Visitation will be from 9 a.m. until time of funeral services at 11 a.m., Saturday at the Crawford Funeral Home in Jerseyville with his brother, Jon Hughes officiating. Burial will follow at the Scenic Hill Cemetery in Grafton with full military honors conducted by the Grafton American Legion. In lieu of flowers or plants, memorials may be given to the Two Rivers Chapter of the Delta Waterfowl.